When the next generation of the Toyota Prius plug-in hybrid hits Japan and Europe, it will feature a rooftop solar panel, reports Automotive News. Don’t expect this technology to hit the ‘States right away, as this technology currently doesn’t hold up to U.S. rollover crash tests. According to Koji Toyoshima, chief engineer of the Prius plug-in, Toyota doesn’t currently have the technology to laminate the photovoltaic cells in a resin that won’t shatter in the event of a rollover accident. Currently, the Japanese market solar panels are placed in reinforced glass sheeting that isn’t up to par with U.S. crash requirements. While the solar panels will recharge the car’s batteries when at a standstill, they will also supply the power to in-car lights, windows, and air conditioning while the vehicle is running. This improves the Prius plug-in’s efficiency by as much as 10 percent, and when Toyota is able to reduce costs, the technology may have further applications. 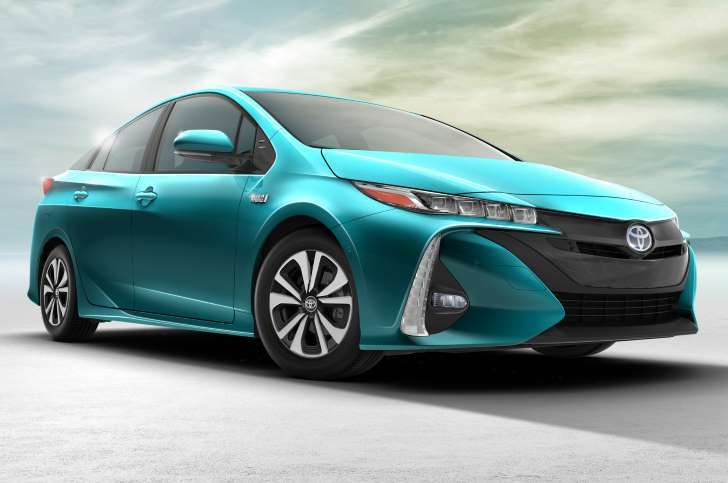 The Prius plug-in, known as the Prius Prime here in the U.S., will arrive in our market this fall.